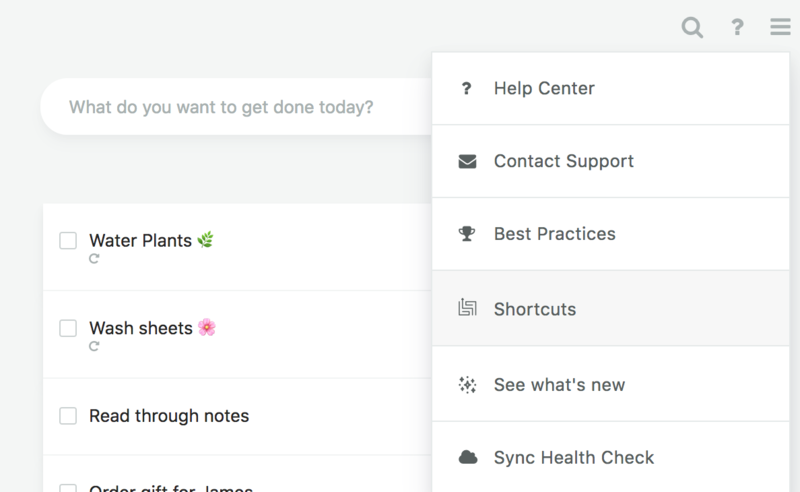 The day view is your main screen and where you work off your tasks. By default it shows you all tasks scheduled for today (to-do list for today). Use forwards/backward keyboard arrows to go to other days. Click cmd+down arrow to go back to today. 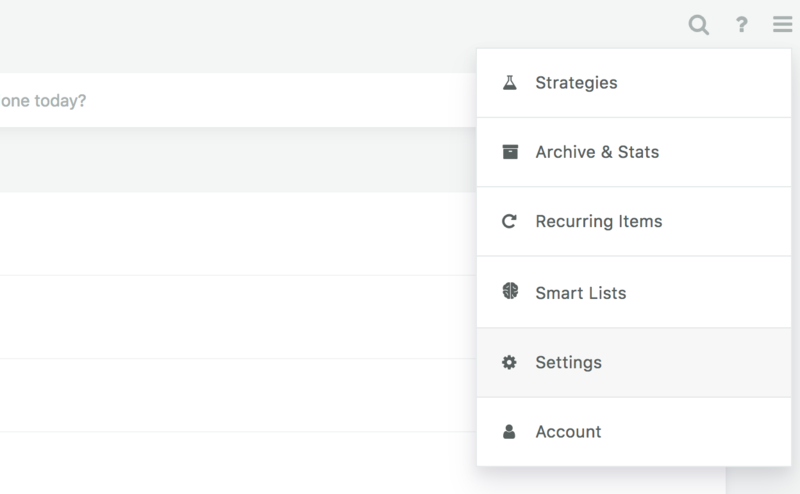 You can configure what to see in the day view depending on the strategies you have turned on and the workflow you set up. 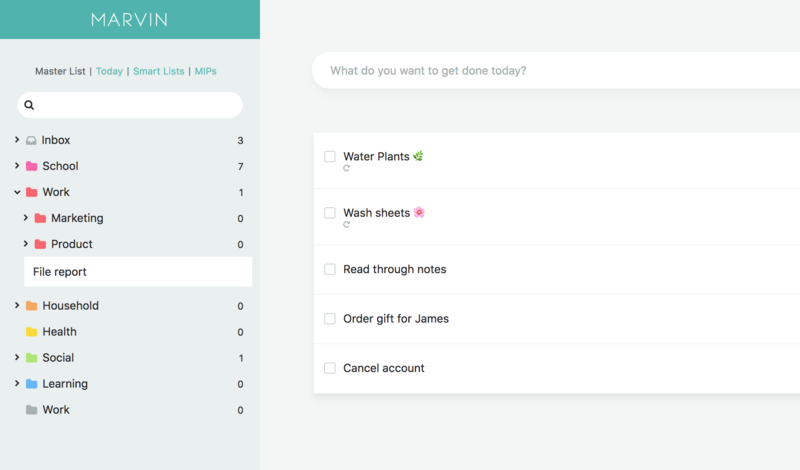 The Master List is where you store all your tasks and projects. Go to the Master List by clicking the scroll icon at the bottom in your day or press "M". Task: Single action to be taken. 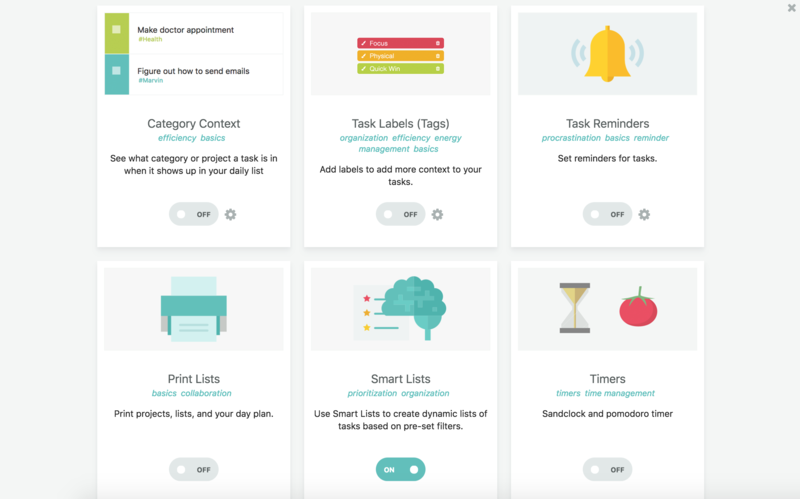 Project: A collection of tasks to be completed. Category: a static place to sort projects and tasks into. 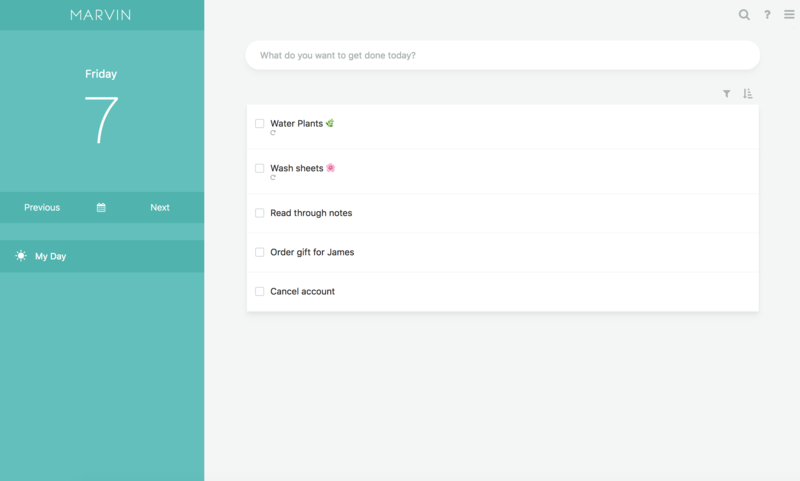 Tasks and projects can be made to recur automatically (they get scheduled to specific days). To quickly add tasks and projects to Marvin press the spacebar to open the quick add input at the top. Use the buttons below existing lists to add items. Some of these buttons only show on hover (like in the day view). 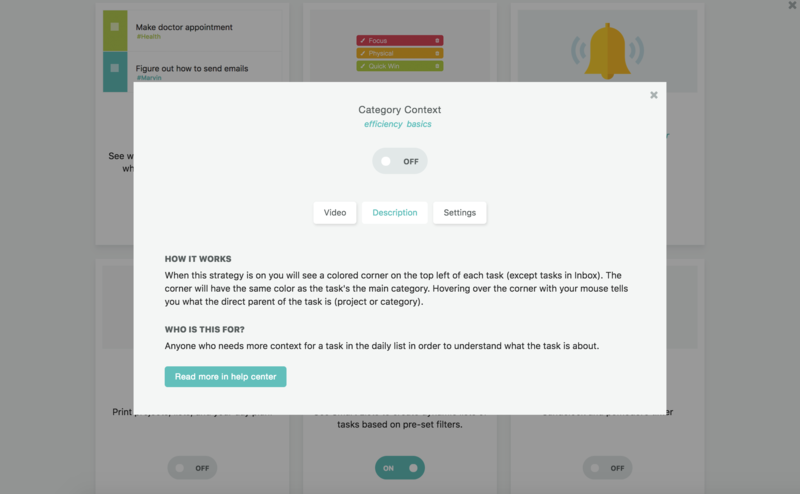 Hover over items (categories, project, tasks) to interact with them via their mini buttons. To edit an item, click on its title directly or select the task (click it) and press tab on your keyboard. Drag and drop items to re-order them. 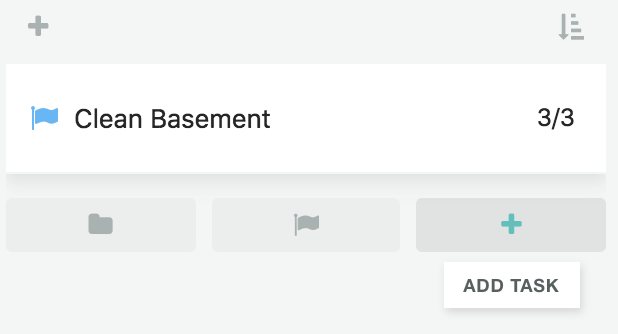 Drag and drop tasks into projects and categories. 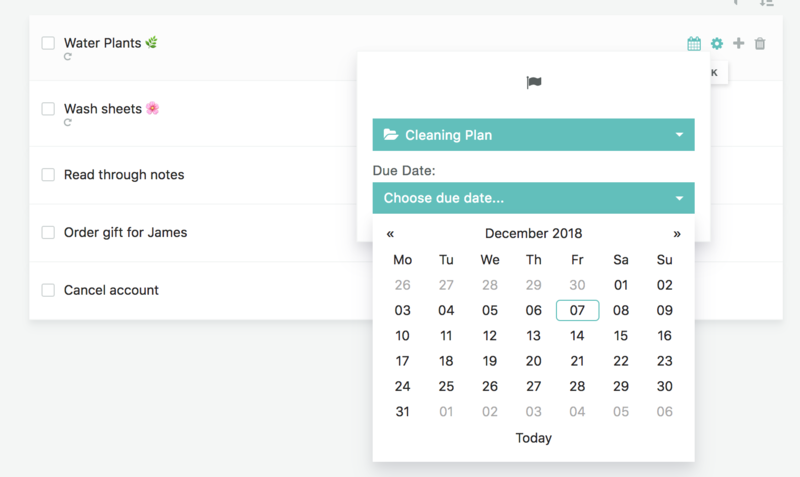 Drag and drop items from the sidebar into the interface on the right to schedule them, plan them, put them on a calendar etc. (depends on the overlay). Schedule a task to give it a do date. This means you intend to do this task on a specific day. Use the task input shortcut "+" -> "Call Seth +tomorrow"
Assign due dates to projects or tasks with a deadline. Use the task input shortcut "due" -> "File taxes due 3/27/2018" or "File taxes due 5d"
The bar at the bottom of the page is used to navigate to other screens (e.g. Master List, calendar, planning etc.). Other views open up on top of the day view as fullscreen overlays. Any overlay or dialog can be closed with the "esc" key. Get a full list of shortcuts in-app by clicking the question mark at the top right and then "shortcuts". These work from anywhere in the app. Press "?" on your keyboard to get the overlay specific shortcuts based on where you are. In the day view, click the menu at the top right and go to "Strategies" or press "S" on your keyboard. Turn features on/off with the toggle switch. Click the strategy cards to learn more about each strategy.